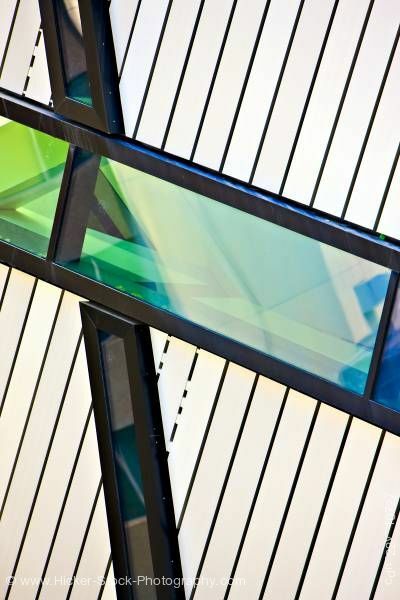 This stock photo outlines specific detail of the Michael A. Lee-Chin Crystal (designed by renowned architect Daniel Libeskind) at the entrance to the Royal Ontario Museum in the city of Toronto, Ontario, Canada. It is the dramatic highlight of the museum's major renovation project. The crystal comprises five interlocking, self-supporting prismatic structures that interface with but are not attached to the original historic Royal Ontario Museum buildings.